These ornaments are perfect for group decorating and can be used as gifts or give-aways. 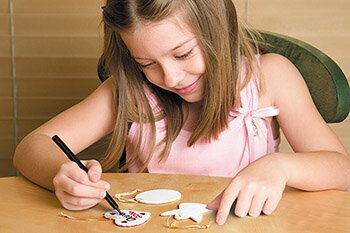 Each ornament comes with a plain, unglazed front and back and includes a gold string hanger. Best for use with paint pens or permanent markers.